Generate a SaveInk Report by either selecting SaveInk Report in the Tools menu or by clicking the icon via the Navigation Panel. The report generates a detailed overview of all the SaveInk queues set up and processed jobs. Select the tool and specify a file name and a file format. The report may be created as a PDF, TXT, HTML or XML file. PDF is selected by default. The Summary section lists the overall ink savings across all queues. Ink Saving per Queue and Job shows details on the savings per queue and the savings per job. 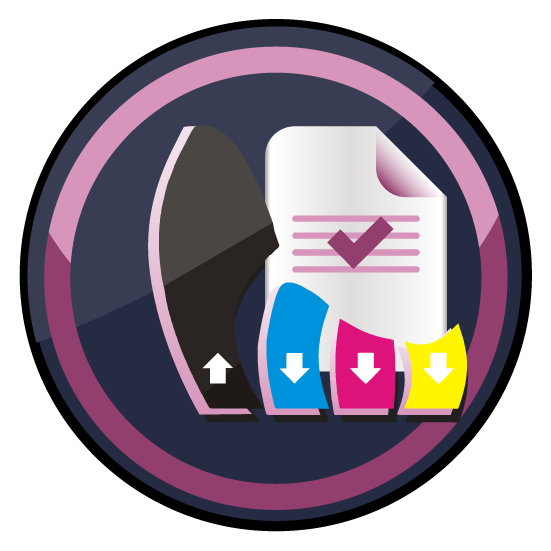 Note: Calculation of the percentages in the SaveInk report only reference the CMYK components, transparency effects and overprinting elements and spot colors are not taken into account.